Any weekend is great for stepping out. And if the property is beautiful, relaxing and close by, it makes all the more sense. Basho Bougainvillea is a brand new property opening its doors in Karjat, and this should definitely be on your list. Situated in Karjat, it will take an hour and a half to reach the resort with Karjat. You can cab your way to this beautiful retreat, or take your own car. A sprawling site, we recommend you plan this with your gang. A boutique resort with cottage accommodations, Basho Bougainvillea is your perfect weekend getaway. 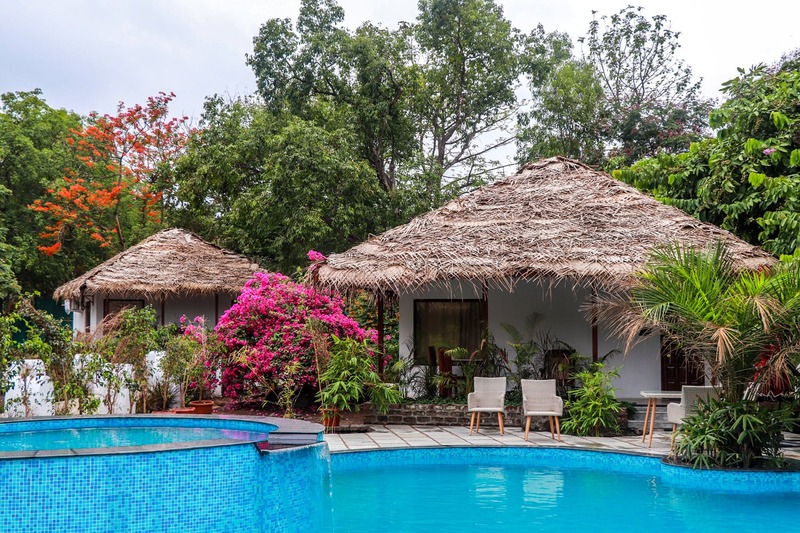 With 15 lavish cottages on the premises, each equipped to house four people each, the cost for a cottage is INR 7,499 plus taxes for 2 people including breakfast. A happy mix of exclusivity, serenity and beauty, each cottage is placed in a way to give you a view of the lush green surroundings. Every cottage with its rustic vibe is equipped with AC, television, and minibars. Step outside the cottage and you can splash in the pool (they also have a separate pool for kids), a health spa, yoga and meditation, and some outdoor games. You can also choose to go for nature walks, cycling, or choose to sit in their in-house library to catch up on your pending reads. And they even host jazz weekends on select weekends. The best part? This resort is pet-friendly. Get your bags ready and head to this serene place for a relaxed weekend. We’ll see you there?